When I started couponing I was a bit overwhelmed. I didn't know where to start, what to do, or how to do it! My parents helped me out a lot, especially my dad! He is quite the penny pincher haha! I created this blog to help others understand better and to help them save money like my dad has taught me. So first things first, Coupons come from many different places; Newspaper inserts, online, blinkies, peelies, tear pads, Facebook, Product websites, etc. 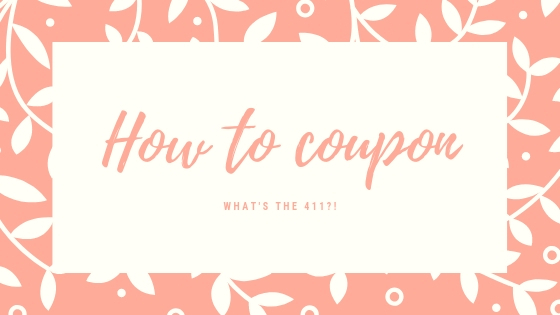 You never know what will go on sale so a "stock" of coupons allows you to swoop in and grab items when the best deal pops up. Buy the Sunday Paper; I suggest buying 1 newspaper per family member. I have a family of 4 so I get 4 papers for us plus I buy an extra 2 because I count my parents, I coupon for them too. The newspaper in my area is The Morning Call. There are different types of inserts that come in the papers. The coupon inserts that come are SmartSource (SS), RetailMeNot formerly RedPlum (RMN), and P&G. On occasion, we will get a General Mills insert or a Target Store insert. P&G comes in the paper once a month at the end of every month. If you have a newspaper subscription then you will get all your Sunday inserts in your Saturday paper. I highly recommend canceling your newspaper subscription. If there is a Dollar Tree around your area then go buy your newspaper over there! They are only $1.00! I would rather pay $1.00 then $2.50 or $2.75 for a paper I will only use for the coupons. Facebook is a great place to find freebies, samples, and coupons. You can pretty much find any and every company on Facebook and they are constantly giving away coupons. You have to act fast though; they can be gone in a matter of minutes. Catalina Coupons- These print out with your receipt at most stores. Some people leave these at the register or throw them in the trash! Most of these coupons are for money off on your next purchase! Blinkies-You can find blinkies all over the supermarkets. Most likely the coupons might not be next to the product so your grocery run might turn into a scavenger hunt. Tear pads are also located throughout the store. Peelies- You can find peelie coupons on the products. Hangtags- You can find these on the product also, they'll usually be wrapped around the product. You can also go to websites that offer clipping services and pay for coupons. Please note that coupons have handling fees and shipping fees. Make sure you have a copy of the coupon policies to your favorite stores handy at all times. I would recommend having them in an accordion folder at the end of your binder. You have to know if they Internet printed coupons and the coupon limit per transaction if you can MFC with SC and if they do, then you might want to find out if they have a limit. If for some reason you cannot find the store coupon policy online, then ask customer service or the manager. Get organized before you leave the house, have a game plan and stick to it. You don't want to go over if you have a set budget amount to spend. Remember to put a list a together of the things you want to buy at each store. Matchups are important to have with you so that it makes your shopping experience a lot quicker. So grab ALL of the Store sale ads and see what coupons you can match them up with to make it a great buy and make your list that way. Also, try to find a convenient time to go shopping- it is always better to avoid the rush hours and it is easier without the kids. Don't forget to ask if your store doubles and up to what amount. You can find that in the store coupon policy but it can be tricky. Planning also involves knowing your stores' coupon policies. Check out the stores' policies below. Print them out and have them with you at all times. Look at your list and start gathering your items. Don't forget to check out the clearance area for some better deals. Don't be embarrassed to use coupons! Coupons will slow down the check out process but in the long run, it is saving you money. Watch the register to make sure the sale prices are ringing up correctly and that each coupon is scanned properly. Don't be scared to say something if needed. Avid couponing leads to stockpiling! The goal here is to buy before you need an item while it's cheap or free., and to avoid having to pay full price when you indeed need it. Buy multiple items at your rock bottom price (you will learn that every store varies). It also eliminates last minute shopping trips just for 1 or 2 items and it will eliminate those impulse buys. Sales tend to cycle so try to buy enough to get you to the next cycle. Cycles are commonly every 3 months. 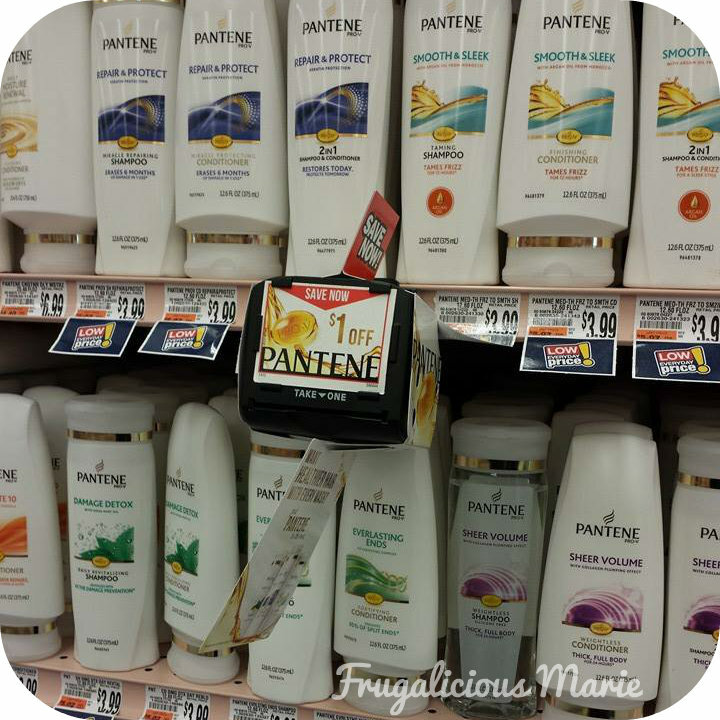 Start with one store and get familiar with the whole couponing routine and build up from there. Learn one and move on to the next store. Once you are comfortable at your store then move on to other stores. Don't try and hit up all of the stores or you will be overwhelmed and go crazy. If you miss a deal, don't worry about it, a new one is just around the corner. make sure you balance family time with couponing-this can easily consume you if you aren't careful. Look at the lists below to see what goes on sale in what month. Just because you have a coupon doesn't mean it makes it a deal! A common pitfall to new couponers is buying things because you have a coupon. If you won't use it and it's not free then don't buy it. You will just end up spending unnecessarily if you spend money on something you don't need or want. Remember the cashiers and other shoppers are human beings just like you. Be courteous and respectful to your cashier. Try not to empty the shelves so that others can get a great deal as well. Know the rules and if the cashier doesn't know them then try to explain it to them, ask for a manager if need be. Be patient with yourself and have fun! If you expect too much of yourself right from the start then you will get frustrated and quit. Keep trying and keep going and soon it will be second nature. remember to have a budget and if you have money left over from your shopping trip then just put that leftover money into your next shopping trip budget. Expired Coupons can be donated to the Military to use overseas. I want to share with you an amazing way to give back to those serving our Country! You can donate your expired coupons to be used by military families. They are allowed to use expired coupons 6 months up to 1 year after the expiration date on base and at the commissaries abroad. I really hate throwing away expired coupons so when I found out years ago that families can use them, I was just ecstatic! The coupons are placed in common areas around each base and soldiers and their families can use them for up to 6 months after there expiration date. You should separate your coupons into two small envelopes. When researching deals you will find a lot of coupon lingo, below you will find a list of some coupon lingo. It might take you a while to get used to it so please do not get overwhelmed. It took me a few weeks! Catalina; prints at the register with your receipt and can be used on future purchases.